Gorgeous bloom! Never seen one like it before! I am always fascinated by the various stages of growth of this flower in my garden. Even when the colour has gone and there are just brown tones it looks wonderful. A great photo. 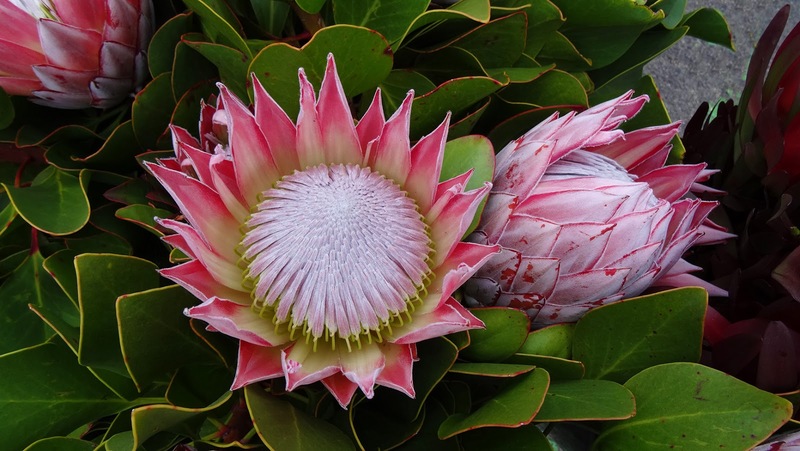 What a fabulous looking flower - great colours and patterns in the petals! Great as cut flowers too. This is the showiest of showy flowers. Forgive me for posting a photo of an artificial one. Not too much blooming outdoors right now, and hubby is allergic to real poinsettias. Beautiful flower! Have a nice day! I have seen this flower before but have not known its name or how hardy it is. Imagine, surviving a fire and resurrecting itself... Thank you for such a great picture of such an interesting flowering plant (I love its leaves too). Meghan from Firebonnet.com (#26 above). Thanks also for hosting this! that's an amazing flower, love it. Splendid detailed macro nicely framed and displayed !! !